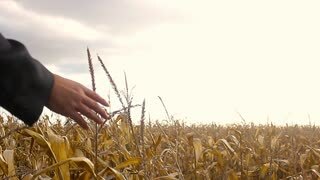 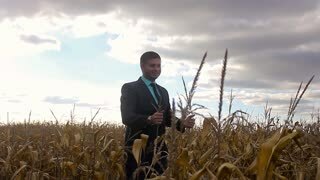 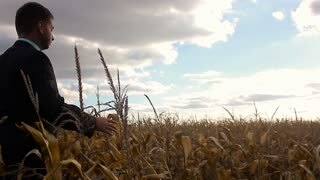 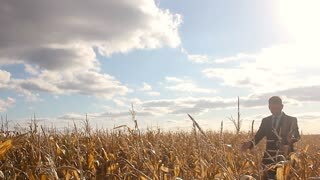 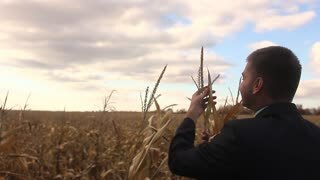 Young modern farmer in suit standing in field of corn. 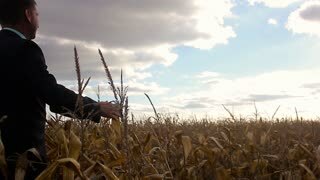 Agronomist. 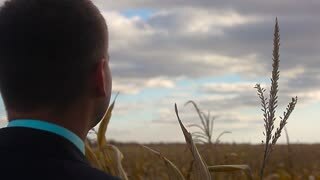 Businessman on a green field against the cloudy sky.